Let’s start with the NCAA Clearinghouse or what is currently known as NCAA Eligibility Center. The Eligibility Center is how the NCAA DI and DII colleges determine if student-athletes are academically prepared and athletically eligible to play at those levels. 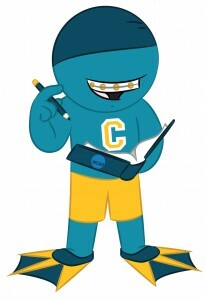 Most student-athletes do not hear the term “eligibility center” until their junior or senior year of high school and then are not even sure how to go through the process of registering. for this? The eligibility center fee is a non-refundable $65.00. Athletes who do not move forward in their recruitment or go on to participate in college sports will have paid the registration fee for no reason. Most high school athletes don’t know they have to start their recruiting process as early as ninth grade. This is particularly relevant for athletes considering NCAA DI and DII divisions where they need to be academically eligible in order to be cleared through the NCAA eligibility center. Young high school athletes who have high hopes of being discovered by college recruiters and coaches need to understand that their actions will be the key to a successful recruiting outcome. Talking over your plans with a teacher, coach or academic advisor will give you more facts and teach you how to be successful in your recruiting. If you have hopes to play at the DI or DII level then you need to be prepared early. Meet with advisors and make sure that you are taking the right courses in order to be ahead in the recruiting game. Even if you think it’s too late your school advisors are going to want to help you. Take some time to meet with them as soon as possible to discuss all of your college options. Whatever you do, don’t rely on your high school coach to pave the way in your recruiting. This is the biggest misconception that high school student-athletes face during their recruiting process. Unfortunately, your high school coach may not be much help because of ignorance, lack of time, or other reasons. Take your recruiting into your own hands. Don’t have someone else do it. Only you will know what is right fit for you. If you are willing to put in the time and effort you can make your recruitment a success. If you have more recruiting questions please leave a comment below or connect with us on Facebook and Twitter.